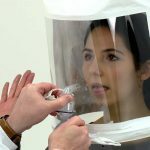 Face fit testing is a method of checking that a tight-fitting facepiece matches the wearer’s facial features and seals adequately to the face. It also identifies unsuitable facepieces. 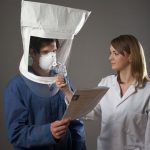 It is a quick and simple way of assessing whether tight fitting respiratory protective equipment (RPE) does or doesn’t create an effective seal around the wearer’s face.